When your home in Burlington is struck by a flood or leak, make sure you call 911 Restoration Milwaukee right away. Our water damage Burlington specialists are available 24/7/365 to provide you with the assistance you need exactly when you need it. Even if the problem occurs in the wee hours of the morning, rest assured that 911 Restoration will be there to take care of it. If your home has sustained a roof leak, pipe burst, or toilet overflow, the damage needs to be patched up right away in order to mitigate any further harm to your home. 911 Restoration knows that time is of the essence when it comes to protecting your home. You can expect our team to be on your property within 45 minutes of your call to provide you with immediate assistance. Our team will get right to work by providing you with a free assessment to detect the source of the problem. Our licensed, insured, and bonded team will patch up the leak and will provide the necessary restorations that will give your home a fresh start today! Your roof is your home’s first line of defense against the elements. It is constantly exposed sun, rain, snow, and wind. Over time, that continuous exposure can lead to wear and tear that can lead to roof leaks. A roof leak is just one of the water emergencies that can affect your home. But no matter what the issue, the 911 Restoration team is always prepared to assist you. 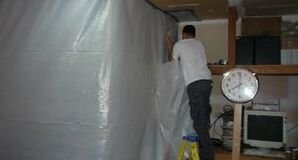 To handle all of your water damage concerns, our team is fully trained and equipped with the latest drying technology that will make sure water and moisture are extracted from your home effectively. Our IICRC certified technicians will be providing you with comprehensive solutions that will give your home a fresh start even after the worst flood or storm, so give us a call today! After a major water disaster strikes like sewage backups or pipe bursts affect your home, you can get a fresh start with the quick response, year-round availability, and quality restorations provided by 911 Restoration. 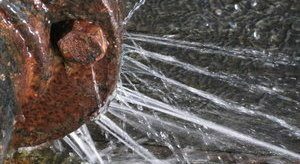 We have almost four decades worth of experience in dealing with all manner of water emergencies at home. We are fully committed to helping you get your home back in shape. We also care about your convenience. Aside from the actual repairs and restorations, you can expect 911 Restoration to work with your insurance company in order to help you file your claim and to provide you with the most affordable price to the services you need. When flooding at home needs to be taken care of, get in touch with our water damage Burlington team with 911 Restoration Milwaukee so we can give your home a fresh start today!